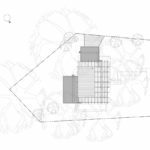 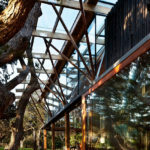 The circumstances not so much allowed, but dictated a sensitive poetic response to a building that, in order to exist would require the destruction of a large number of mature trees. 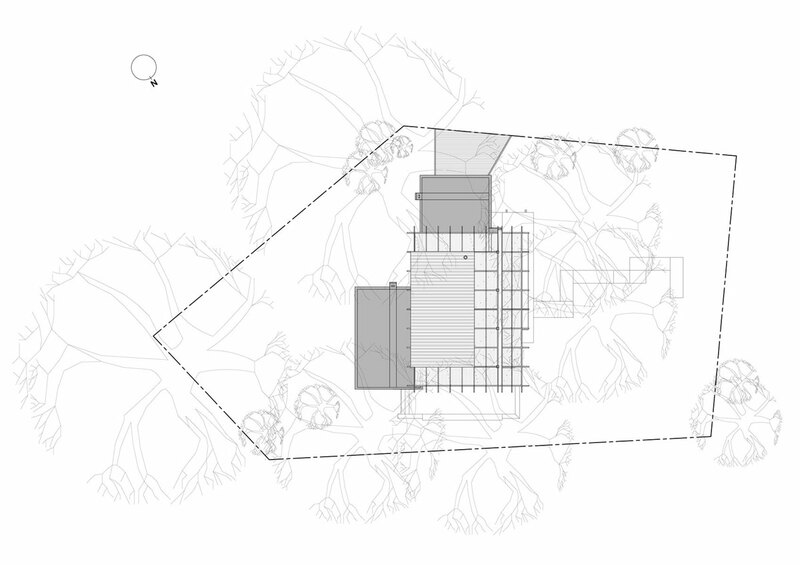 To do this we looked to the trees themselves to give us the cues that we needed. 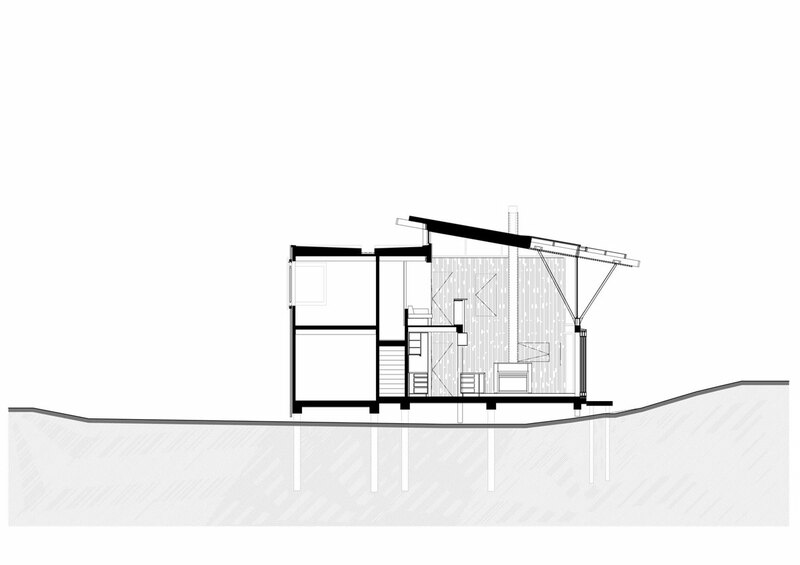 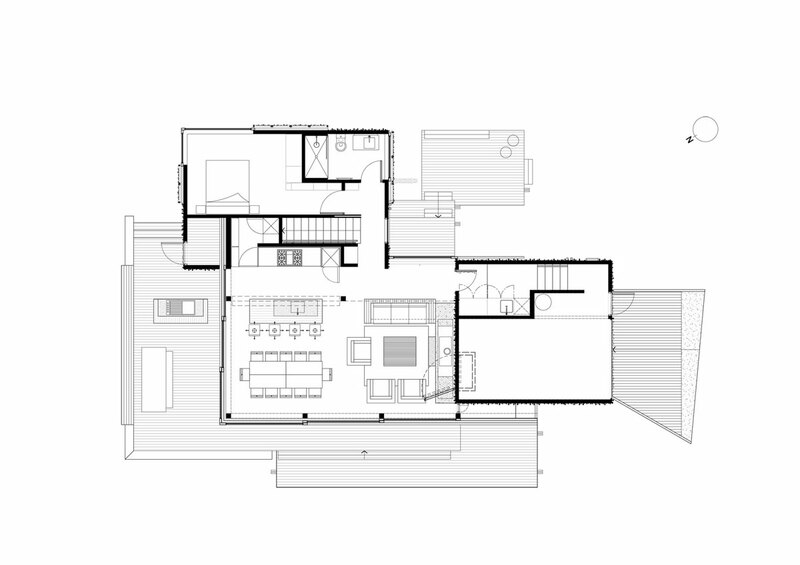 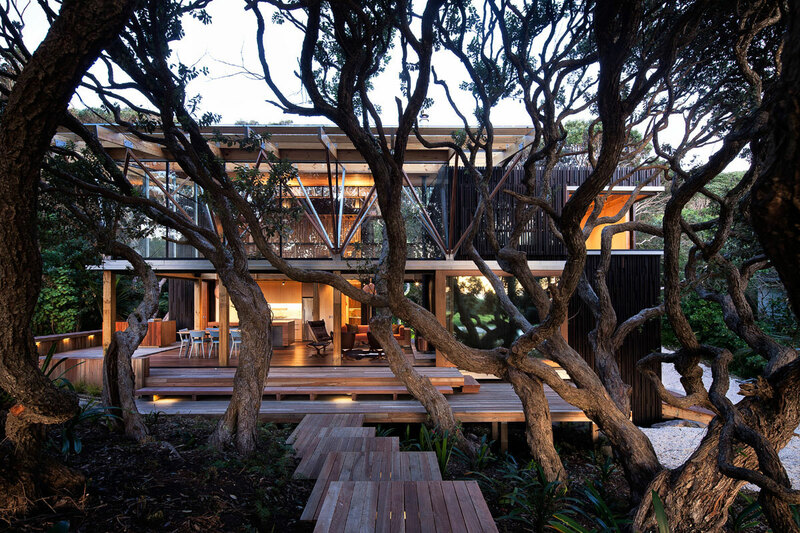 A walkway links the towers at the upper level allowing engagement with both the natural and man made canopies. 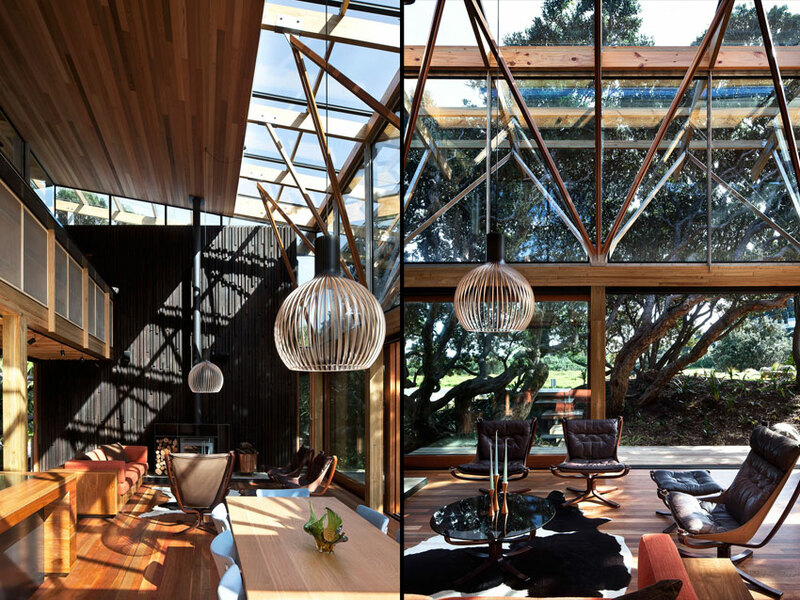 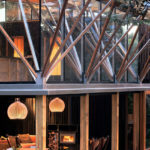 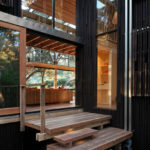 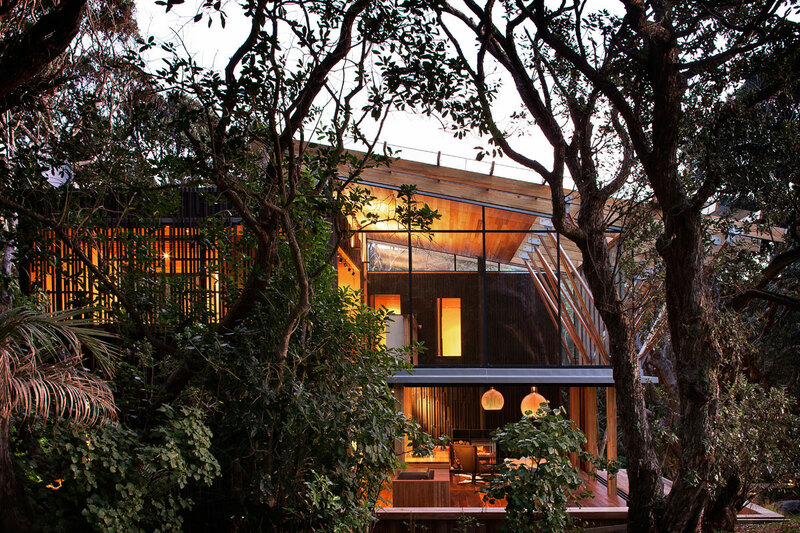 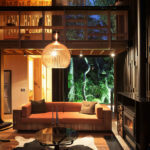 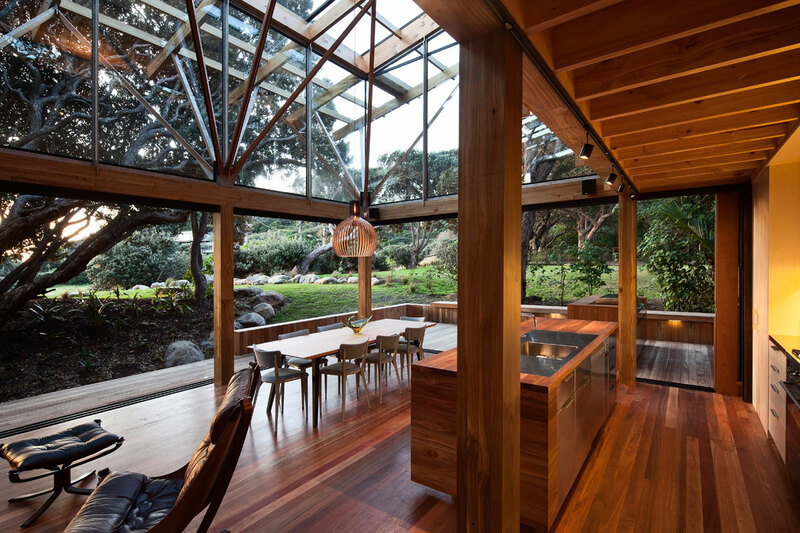 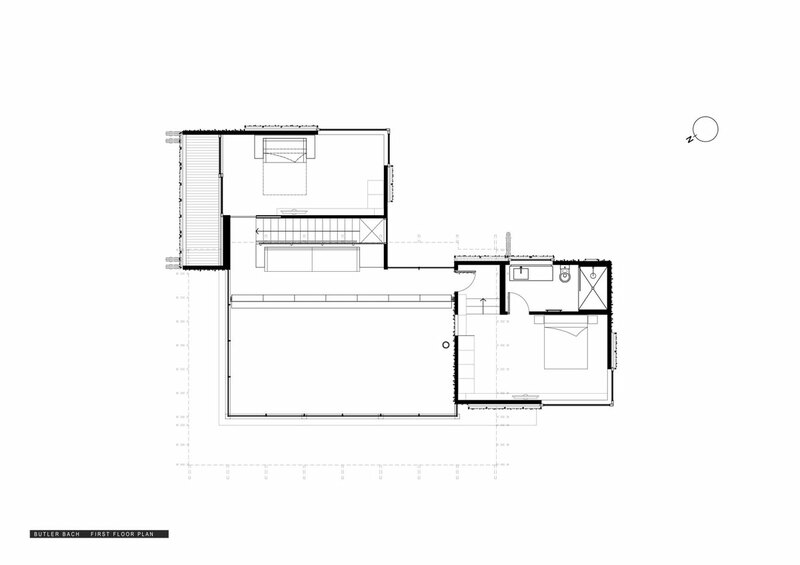 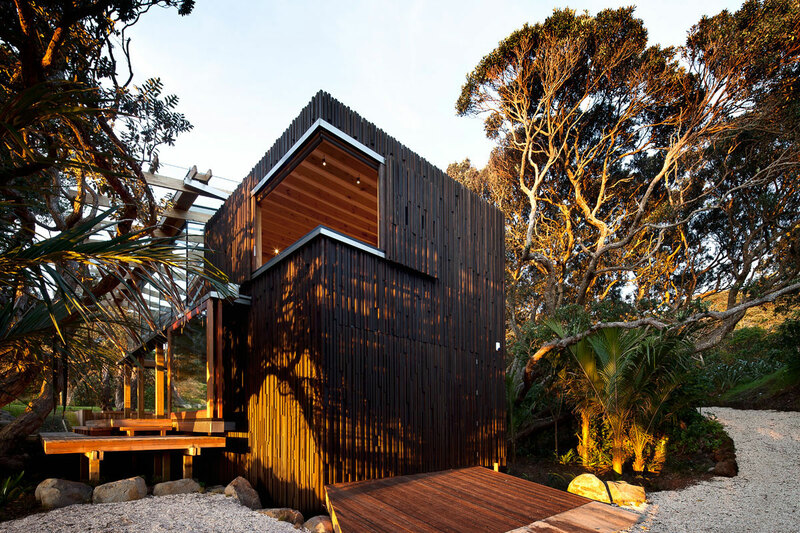 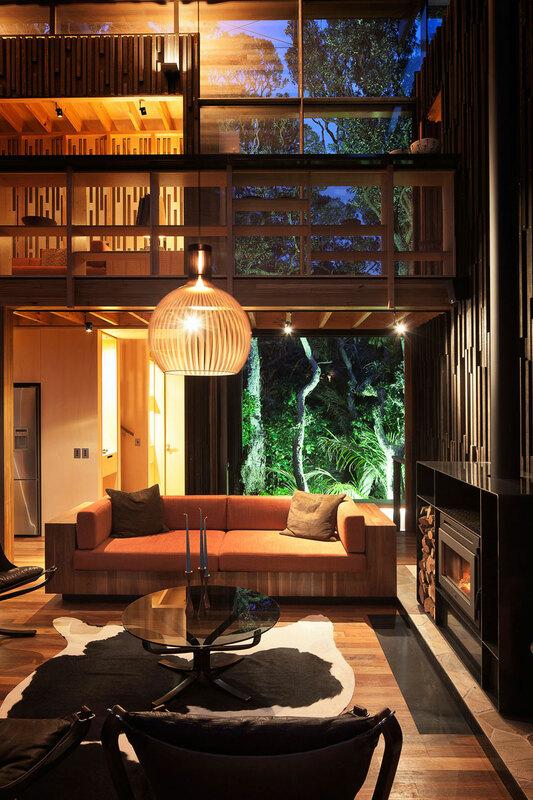 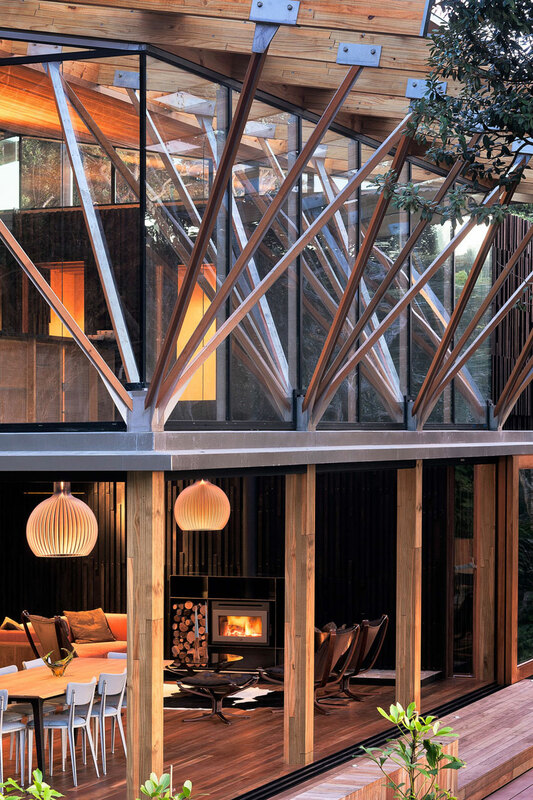 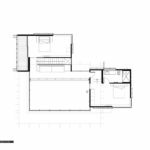 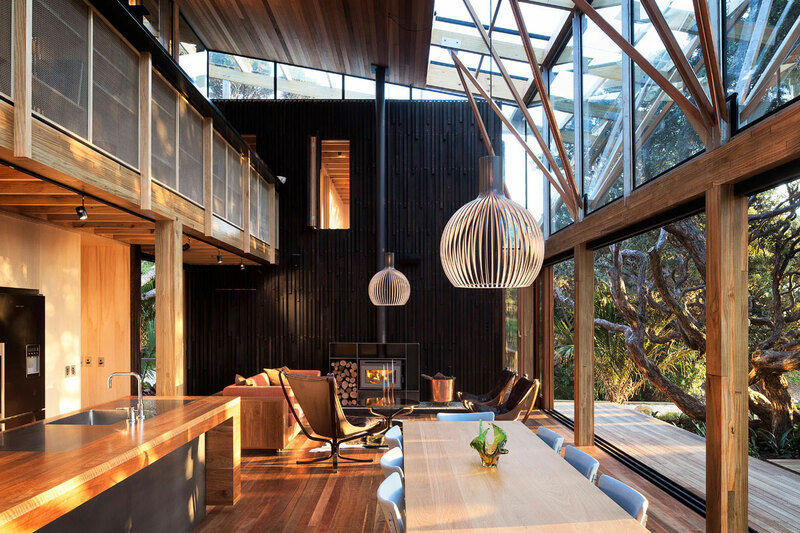 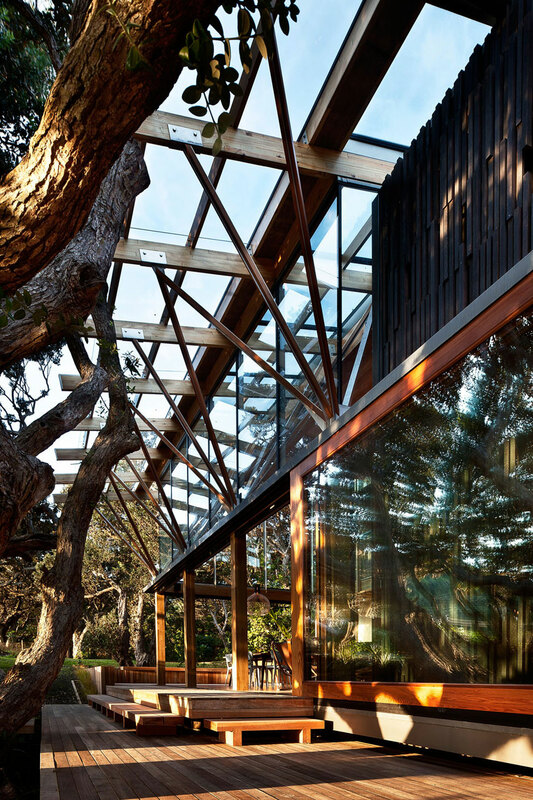 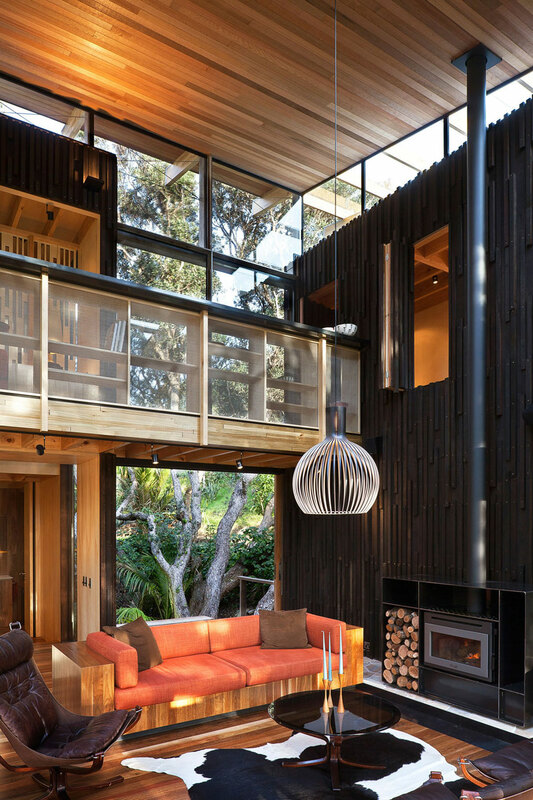 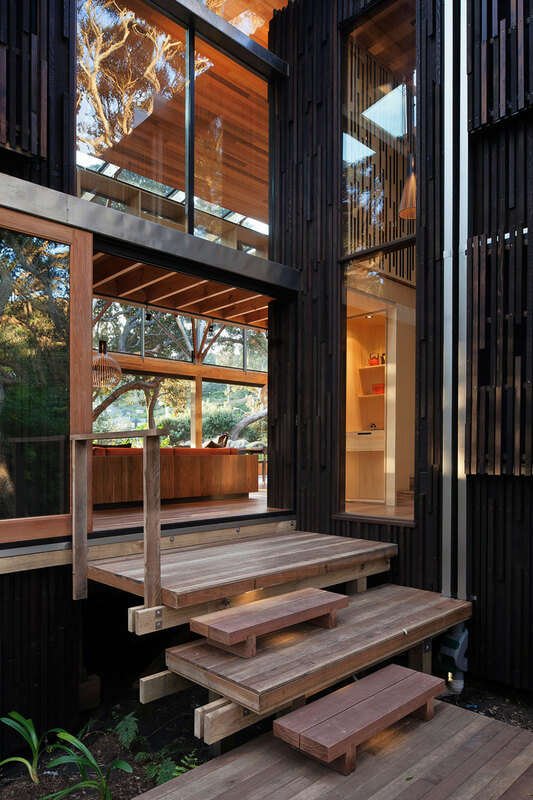 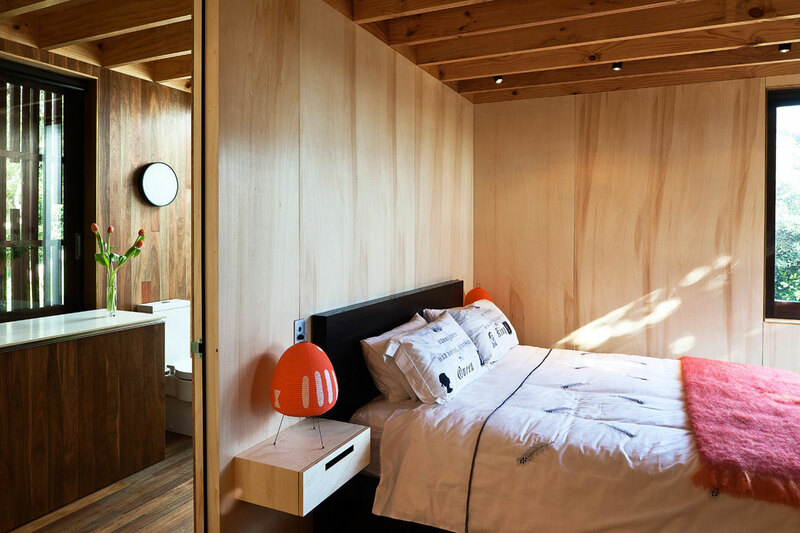 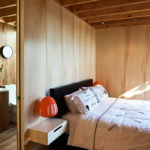 Cite this article: "Under Pohutukawa House / Herbst Architects," in ArchEyes, May 1, 2016, http://archeyes.com/under-pohutukawa-house-herbst-architects/.